In order to be able to work full-time with a computer or at least use it to entertain, you need a licensed antivirus, but only with modern realities it's not so easy to find the security software that could meet the basic requirements of most PC users. 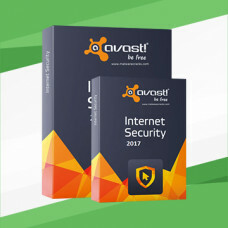 It is for this reason that we decided to tell you about what is the Avast Internet license, as today - this antivirus can be considered the best in its niche, both in protection and in price policy. Initially, this security software has a fairly small distribution, which allows you to download it to almost any user, regardless of what kind of Internet connection it uses. It should also be noted that the update of Avast Internet Security is proceeding quite quickly due to high-quality antivirus databases that "do not eat" a huge amount of traffic, which is actual, provided it is limited. The speed of Avast Internet Security is amazing, in spite of the fact that at first glance it is quite simple and uncommon antivirus, it is constantly in search of malicious software, which allows it to detect any hidden viruses or attempts to steal data from the computer with lightning speed. In addition, thanks to its interaction response, this protection program can instantly respond to any user orders, which makes it possible to state with full certainty that this is the best version of software for those of you who are interested in the speed of the protection software. A fairly practical and highly understandable interface of the antivirus makes it possible to learn how to handle it in a matter of seconds. More you will not have any problems in order to customize the program for your specific requirements and needs, because you will always be able to seamlessly add to the protection program those options that you need. With such a simple interface it is possible to understand any PC user, even someone who has never worked with any antivirus software. As is known, now there is a large number of fake sites on the Internet, which expose themselves over the years to the existing Internet sites and thus, trying to lure money from an inattentive user who decides to buy something on the Internet. In order that you are not a victim of scammers, this software has the ability to block without warning such resources, which at times reduces the possible percentage of fraud when buying any product on the Internet. If more recently for most PC users the extortion from scammers who could get into the computer with the help of malicious code or the program and steal personal information from there was a self-evident fact, then after the purchase of Avast anti-virus this problem will disappear with itself, so how this "defender" keeps a constant monitoring of outgoing and incoming traffic and with any suspicious activity of third-party programs, will immediately disconnect them from the Internet connection. Another type of fraud to date on the Internet is phishing messages with which this protective software also has the ability to fight independently without user intervention. Avast will simply cut off all phishing messages that will be delivered to you in the email box. In addition, the program also has a firewall that will allow you to store your personal data using innovative technologies that involve additional control over the system and all stored files on hard disks. In fact, Avast license for 2 years - for today - this is almost the optimal version of the antivirus, which is ready to function fully for the most modest payment. It is also worth considering the moment that you acquire this antivirus, which will not work relentlessly: 3 months, not six months and not even 12 months, but as many as 24 months! Which is an order of magnitude greater than the most expensive antivirus that you could purchase tens of times more expensive. In addition, only with this protective software, you will be able to feel that your computer has started to work more easily and does not have any functional problems that are related to hangs or slowdowns, but everything from that - this is the program that was developed for the average user, who works daily for his computer or laptop equipped with no expensive "hardware".